After a personal injury, be it from a car accident, a slip and fall, or even a dog bite, life can get frustrating fast. Fortunately, these things don’t happen to us often, but that means it’s hard to know where to turn to. As personal injury experts in Oregon, let us tell you that the best move is to contact a personal injury attorney first. At Peterson Law Offices, we’ve worked with thousands of clients to bring them settlements for personal injuries that many insurance companies would have tried to minimize. Insurance companies bank on the fact that the average person doesn’t know what his or her rights are in a personal injury case. They will do just about anything to pay a low claim. The solution then? Get an advocate on your side immediately. An insurance adjuster’s main motivation is making sure that the insurance company remains profitable. They do not prioritize the victim’s best interests. For this reason, an experienced personal injury attorney can fight for you, rather than against you. A personal injury attorney is an experienced lawyer who is able to provide legal representation to those people that have been hurt whether physically or emotionally, as the result of negligence by another person or entity. Law is a highly specialized practice, so when choosing the right lawyer, you want to make sure they are experienced and professional. Do they have experience with personal injury cases similar to your own? The first step is to sit down with the lawyer and discuss your claim. They will also be able to walk you through different ways the claim can be handled. It is also recommended that you take any information pertaining to the case to the lawyer’s office. By showing them this information, they can have a better understanding of the case. The lawyers at Peterson Law Offices work with clients all over Oregon and the state of Southern Washington. Our entire office supports each of our clients to get them a fair shake at the settlement they deserve. In some cases, we can come to your location–your town, your home, or even your hospital bed–and we’re able to work with many of our clients by mail. The key is to contact Peterson Law Offices today. 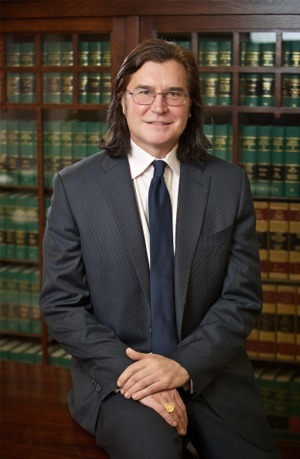 Time is of the essence when it comes to personal injury cases. There is a smart, step-by-step approach to dealing with your personal injury after you have confronted the initial shock. We can tell you how much your case is worth and how you can get more compensation for your claim. There are never any legal fees unless money is recovered. All legal fees are contingent upon the settlement or judgment. Call us now at 503-280-0888. We will explain the steps you then need to take in order to preserve evidence and to get you a settlement as quickly as possible. To begin, all the evidence for the case is collected. Evidence can include witness statements, photos, police reports and whatever else they can use to prove you have a case. Once you are released from your doctor’s care, and you are well on your way to recovery, the personal injury attorney can then gather your medical records and reports, bills, and employment information so that they can begin to document all the damage that had been incurred due to the accident. After all the necessary information is gathered-which can take some time- the personal injury attorney can then contact the insurance company involved with the case to see if there is an offer for review. If a fair and reasonable settlement cannot be found with the insurance company, the personal injury attorney will then proceed with filing a demand arbitration or lawsuit. Discovery proceedings will then follow. Your personal injury attorney will walk you through every step of the process. It may take quite some time to resolve your personal injury case. Some bigger cases can take longer than others, but it is best that you are prepared to be patient. The litigation process can often be confusing as well. It is important that you understand what is happening with your case, so you know what to expect. Ask your attorney any questions you may have. Learn as much as you can about the process so you can better understand what is happening. Become knowledgeable about litigation and ask questions if you are unsure. Always keep communication open with your personal injury attorney. The litigation process can be confusing, frustrating, and time-consuming. Receiving regular updates and communication with your lawyer may help put your mind at ease. Never sign any documents without first discussing them with your lawyer. Make sure that your personal injury attorney is receiving copies of all the bills associated with your case. Inform your lawyer when you have finished medical treatment. Also, inform your lawyer when you are officially cleared to return to work. Always inform your lawyer of any change in your personal information. Changes include phone number and address. Never transfer to a different doctor or medical facility without first discussing it with your lawyer. Remember, you do not have to face the personal injury claims process alone. An experienced personal injury attorney is only a phone call away. They can guide you through the complicated process from start to finish. You do not have to settle for anything less than the best.